Hi! Thanks for visiting my website. Here is a selection of my work. For more in-depth information, see the Projects page. Prehistoric reptiles, pterodactyls and cavemen in Jurassic level of Bad Day for a Balloon Ride game made at Chaos Created. I designed and rendered the characters, environments and assets of this game using Photoshop, Corel Painter, Filter Forge, Modo and Keyshot. I rigged (converted the 2D assets to custom meshes, skinned to skeletons, created IK constraints, used free form deformation where appropriate) and animated them in Esoteric Spine. Finally, I assembled all the environments in Unity game engine. More details here. 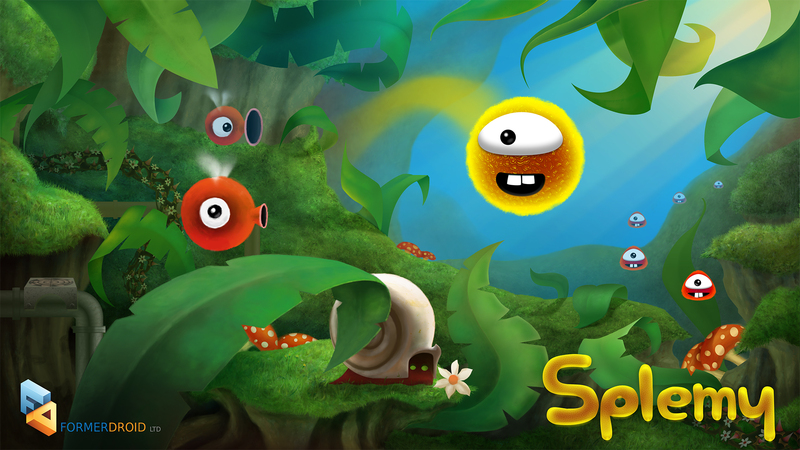 Promotional artwork for Splemy game made at FormerDroid. Enhanced representations for each of the three game chapters, which were also adapted as screen savers for mobile phones and as vertical banner for print. Designed and digitally painted in Photoshop, Corel Painter and Filter Forge. For part of the work, I modeled 3D assets in Maya and rendered in Keyshot to use as base for digital painting. More details here. Langeroo Adventures educational mini game. Oysters at the bottom of the ocean release air bubbles containing letters. The player has to tap on the correct ones to spell given words. The characters react depending on the answer. More details here. Unity in-game environments for Splemy game. I created the environments for all 75 levels of this award winning game, making the initial visual concept more rich and sophisticated. Animated explainer for Forestry Commission Scotland. Illustrator and After Effects. Read more. Video here. 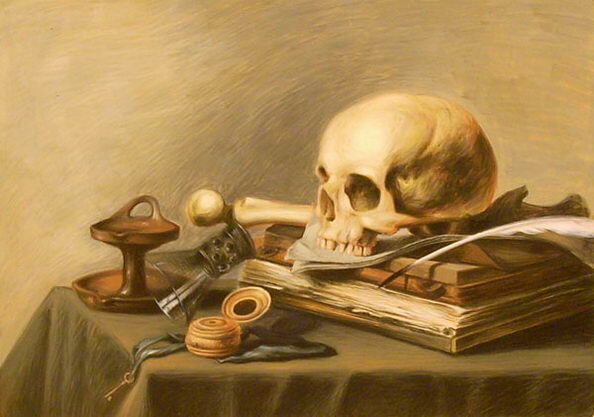 Study after “Vanitas” by Dutch Golden Age painter Pieter Claesz (1597-1660), made in gouache with egg yolk on gessoed board. Lethal cyborg shark, malefic octopus, vicious eel, exploding mines and dangerous submarines in Underwater level of Bad Day for a Balloon Ride game. Designed and painted in Photoshop, rigged and animated in Spine, assembled in Unity. 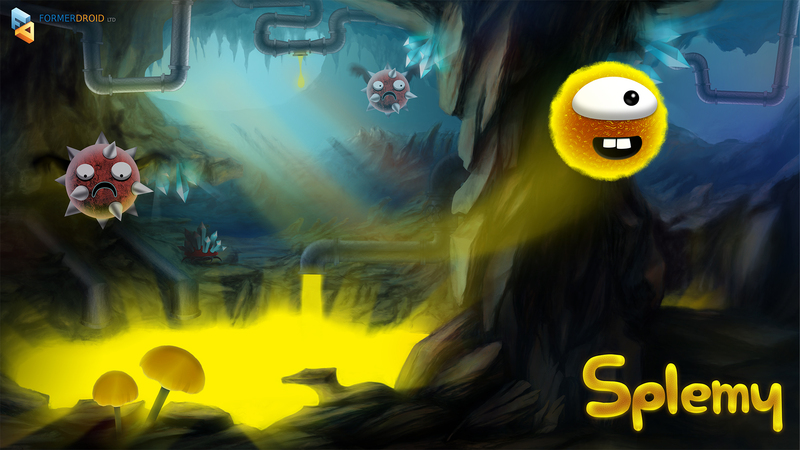 Promotional artwork for Splemy game. Creepy but fun characters and environment for Cave level in Bad Day for a Balloon Ride game. In the Pirate level of Bad Day for a Balloon Ride game, a cheeky monkey and grotty pirates on ships and land test your dodging skills by attempting to take your balloon down. Designed and painted in Photoshop, rigged and animated in Spine, assembled in Unity. Emblematic retro style characters and environment for Futuristic level in Bad Day for a Balloon Ride game. 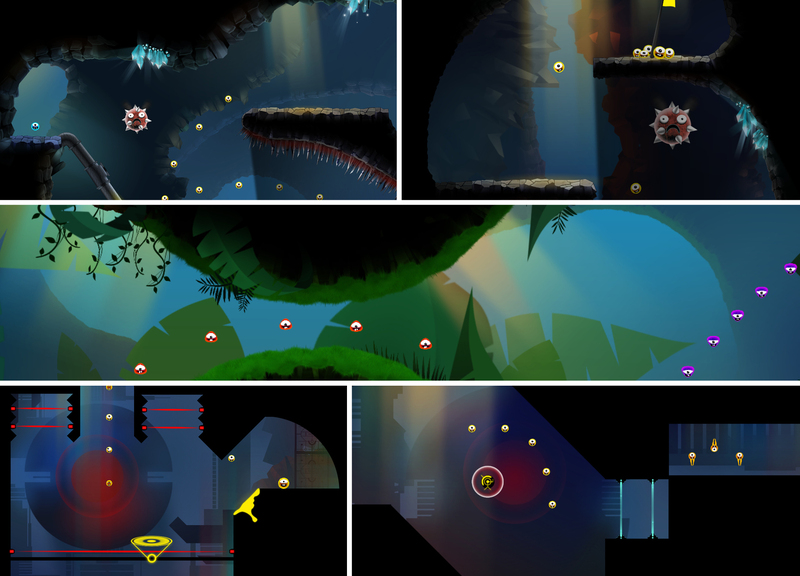 Example of development stages for a building in the Futuristic level of Bad Day for a Balloon Ride game. You can see in order the digital sculpting in ZBrush, the render in Keyshot, the filtered applied in Filter Forge, and finally the paint over in Photoshop. Other characters in the Pirate level. A cute and quirky octopus gets annoyed when your balloon passes by and lazily swings a tentacle at it. You have to watch out for the water blows of the depressed whale, the massive bites from the jumping shark and other obstacles. Bad Taste Bears – crowdfunding campaign for a game with the well established figurine. Designed in Illustrator. The dreamy, fairy tale like Hillside level in Bad Day for a Balloon Ride. 3D modeling, sculpting, rigging and animation in Maya and ZBrush for a wee short animated film. Langeroo Adventures, the second major project I worked on at Chaos Created, is a suite of educational mini games for children. In this mini game, the player has to correctly pick the word matching the picture in the sleeping turtle’s dream cloud. Assets and icons for Connected Scotland project. Designed in Illustrator. Two mini-games in Langeroo Adventures which teach shapes and spelling. The giraffe has to eat the correct shape, while the crab picks letters falling down the waterfall. Meteorites, fireballs and bursting lava in Apocalyptic level of Bad Day for a Ballon Ride game. Teaching various words suggested by the monkey’s behavior and expressions. One of the satellite assets for Space level, modeled and rendered in Modo, painted over in Photoshop. Sample from Space level. Player has to dodge satellites and alien space ships opening fire. Thrifty chef, but them pancakes keep falling. Pancake Panic is a game developed in a week. I designed the character, background and assets in Photoshop, Corel Painter and Filter Forge. Rigged and animated in Spine. Assembled in Unity. Player smashes a coconut and counts the bugs inside. Player directs lemur to walk, run and jump from branch to branch in order to pick the correct items. Achievement icons and overworld assets for Splemy game. Designed in Photoshop. Penguin with massive appetite. Bonus game in Langeroo Adventures. Player slides the penguin to catch fish jumping from the water.